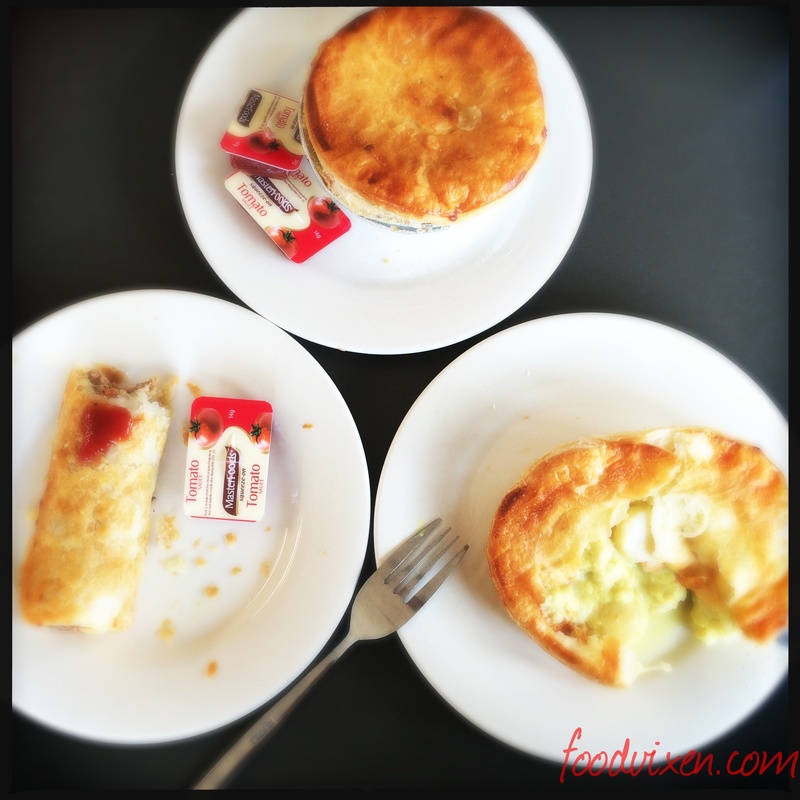 Continuing on from my last post where I rambled about wine and cheese platters in the Tamar Valley the next day we were leaving Launceston bound for Swansea. 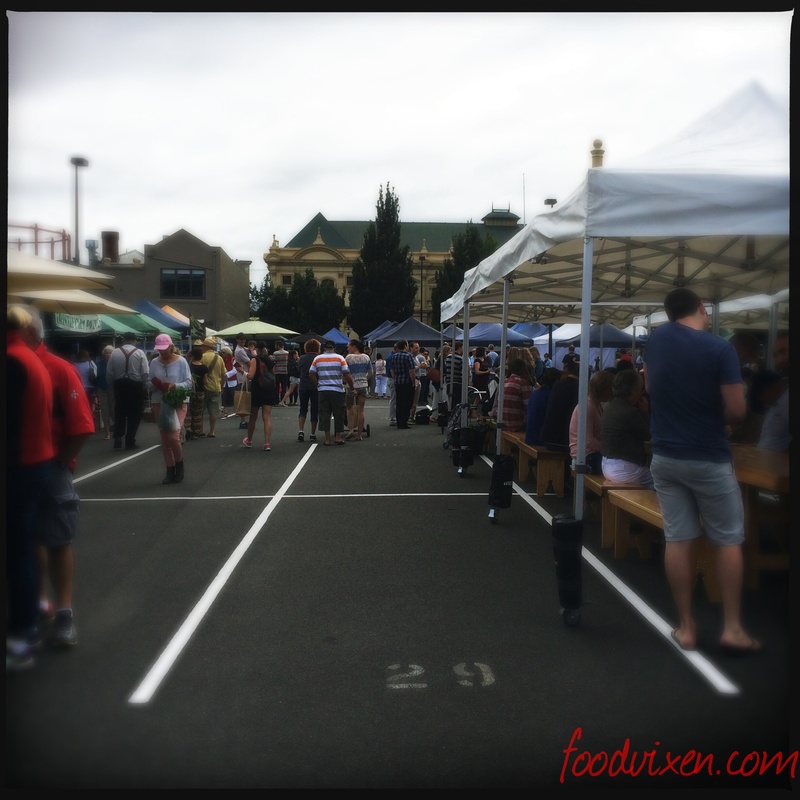 Being a Saturday I was well aware that one of the biggest and best markets in the country, the Salamanca Markets, was on in Hobart but alas we were a couple of hundred km’s away. 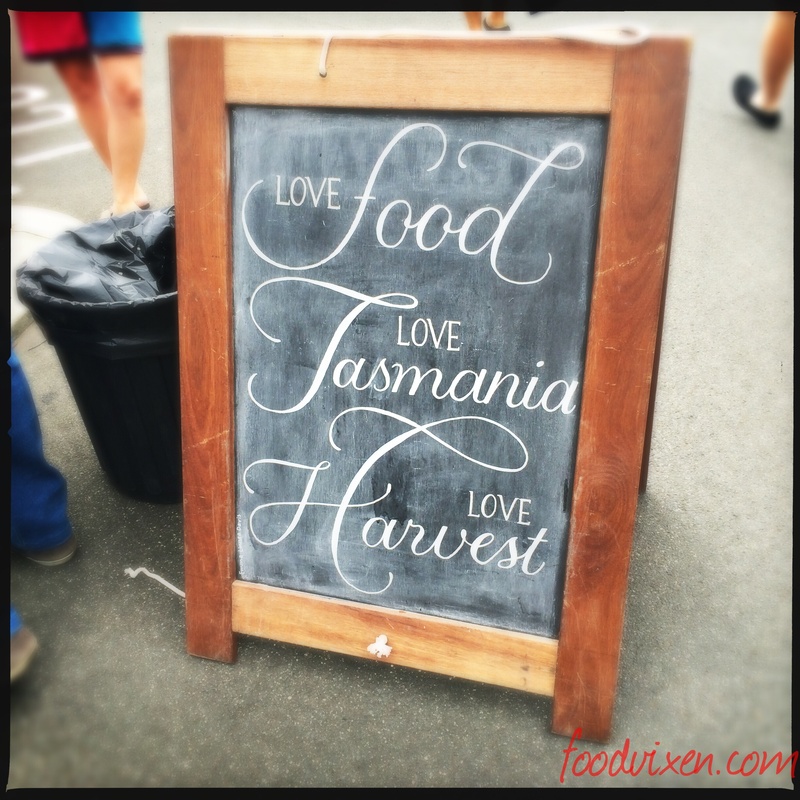 I tried to plan our initial itinerary around being in Hobart on that very day but logistics just didn’t allow for it so instead we found ourselves at the Harvest Markets in Launceston. I’ll admit that I wasn’t expecting much but I was actually pleasantly surprised by the size of the markets and the variety. I mean it was no Salamanca Markets that’s for sure – Salamanca Markets has over 300 stall holders while the Harvest Market in Launceston probably had about 30 but you know what they say ‘size doesn’t matter’. 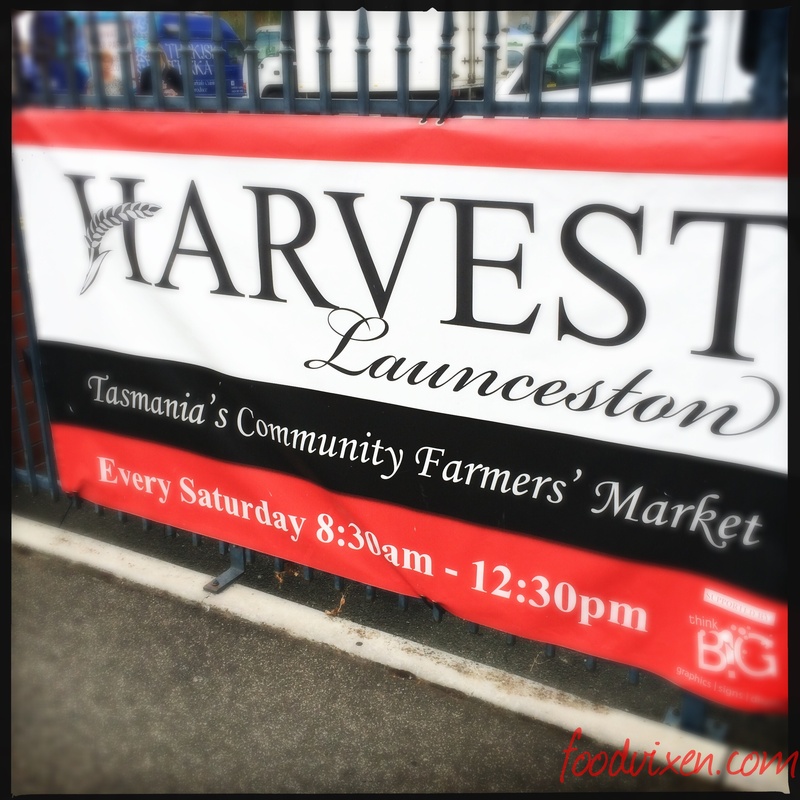 The Harvest Market is held in a carpark in the heart of Launceston every Saturday from 8.30am – 12.30pm. 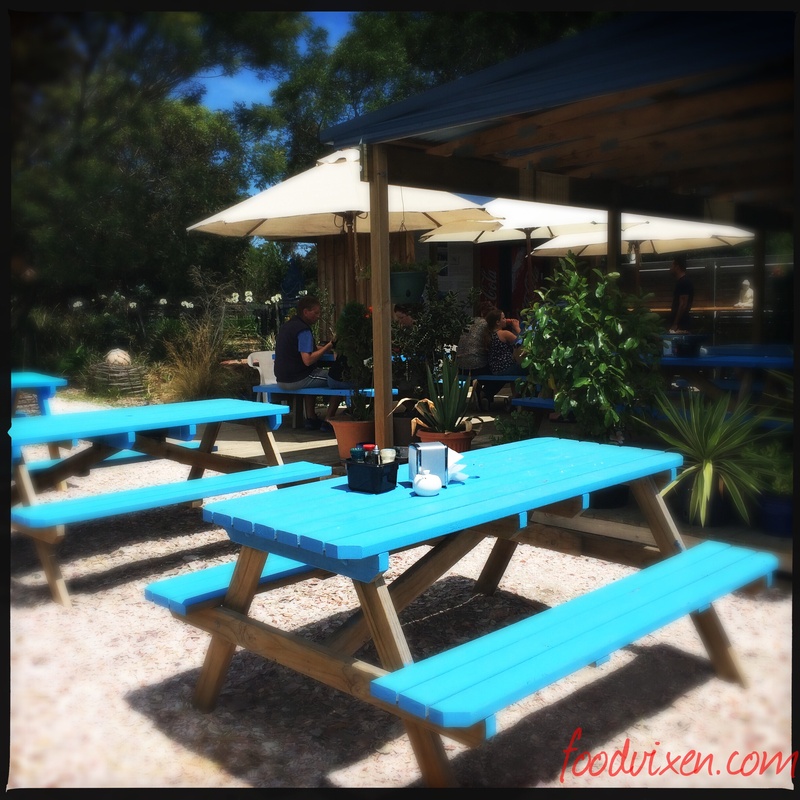 Awarded the Most Outstanding Farmers Market by ABC Delicious Magazine in 2013 it brings the farm gate to you and after my visit I can highly recommend it. When we arrived it seemed like the majority of Launceston was there for a look and to sample some of the local delights. There’s artisan bread, wine, cider, cheese, preserved, fresh fruit and vege, seafood, meat, coffee and also a handful of food trucks serving everything from gozlemes to waffles to Reuben sandwiches. 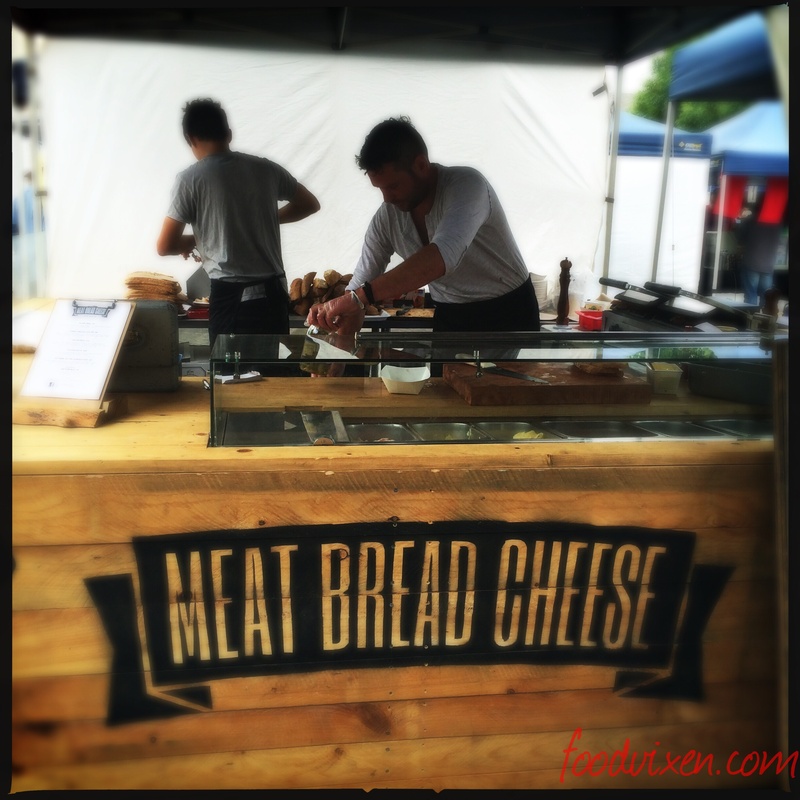 Typically MS and I just couldn’t go past the stall selling Reuben sandwiches so aptly called ‘Meat Bread Cheese’. 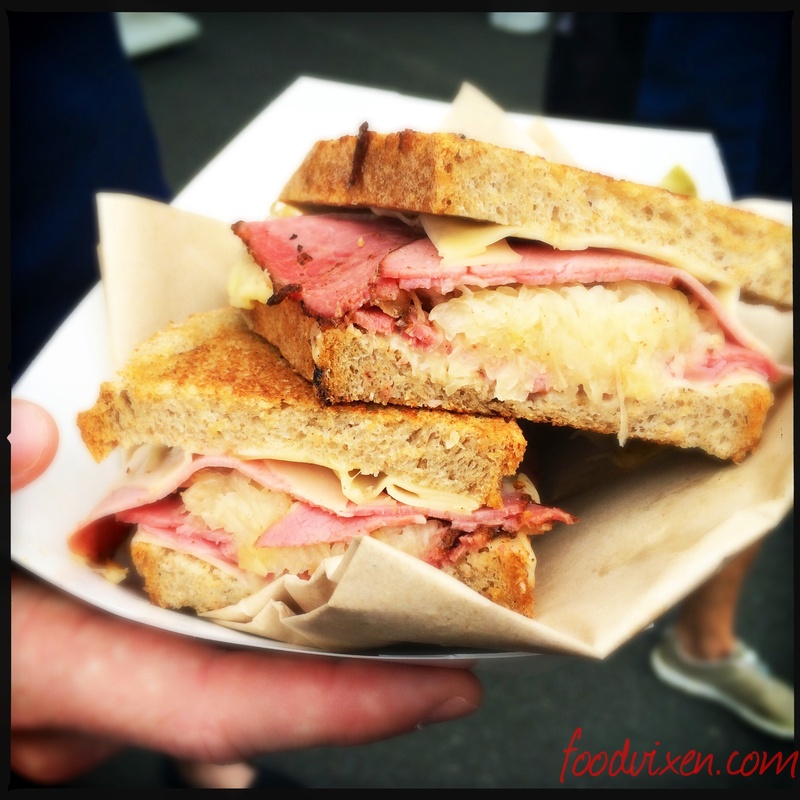 It seems many other people attending had the same idea because they had quite a following of people also keen to have a Reuben. MS and I shared their apparently famous Reuben sandwich with Pastrami, Swiss Cheese, Russian Dressing and Sauerkraut on Fresh Rye for those of you that don’t know what a Reuben is (you should be ashamed of yourself). It was a fantastic Reuben and probably the best I’ve had but that will most likely change when I go to Katz Deli in New York for THE Reuben in a couple of months time. 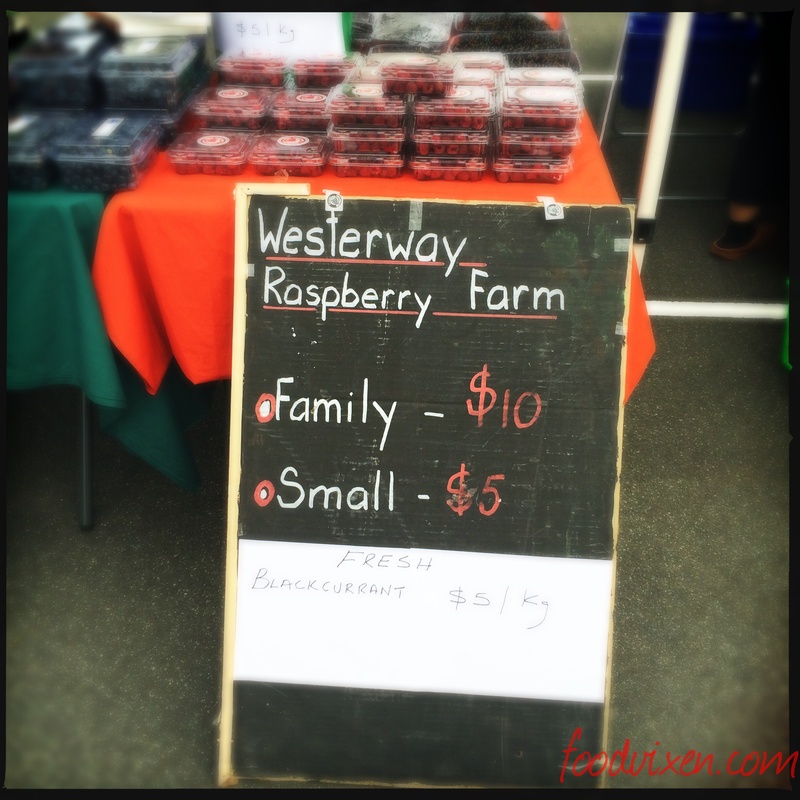 When we first walked into the markets I spied a stall selling fresh blackberries that was doing an absolute roaring trade. A few stalls over I also spied another stall selling blackberries but with no one buying them. Ever the bleeding heart – I still have pangs of guilt about not buying a piece of fruit cake from an old man trying to sell fruit cake at the weekend markets in Broome over three years ago – I went over and bought a punnet of blackberries from this couple for about $5. Turns out no one was buying their berries because they weren’t very friendly and their blackberries were that sour that we couldn’t even eat them. Anyways we bought a gozleme for the road and jumped in the car headed for Swansea. The road to Swansea was winding and littered with dead wildlife – I have seriously never seen so much roadkill as I have in Tasmania, it’s a little sad. MS thought it would be a fantastic road to travel on his GSXR and even fantasised about moving to Tasmania just so he could explore new roads at high speeds (and no I do not condone speeding). We were overtaken by a convoy of classic cars and premium sports car prompting an argument about which car we would rather own. In the end the silver Aston Martin won out for me whilst MS refused to go past the 1972 Ford Falcon XY GT. Come on the two don’t even compare! We were staying at a cosy little BnB in Swansea that night but we weren’t due to check in till later that afternoon so in the meantime we stopped off at the Bark Mill Tavern and Bakery for a bite to eat because god forbid we had been a good hour and a half without food. 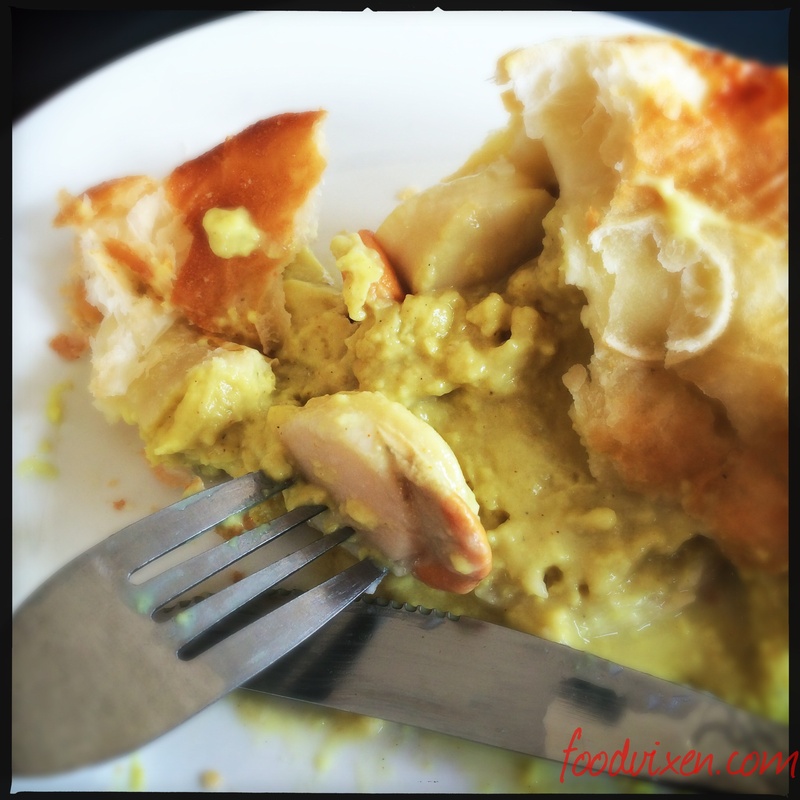 I ordered a Curried Scallop pie while MS got a sausage roll and a Steak and Bacon pie. I’ve only ever eaten three scallop pies in my lifetime – in Hobart back in 2009, Bairnsdale in 2002 and this one in Swansea. It wasn’t amazing with no more than 5 or 6 scallops inside but given that it was in fact a scallop pie it automatically gets a few extra points. 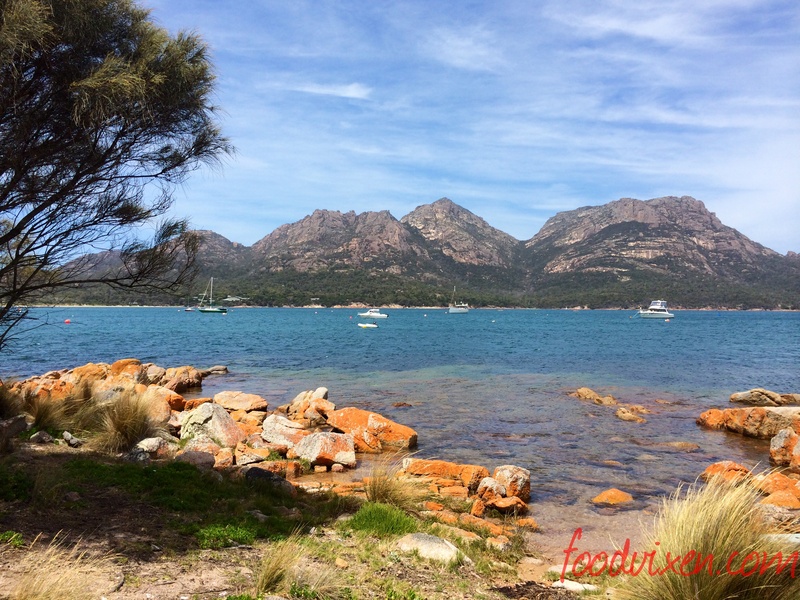 We jumped back in the car and headed off towards Coles Bay and the Freycinet National Park because I had a mission to eat oysters at the Freycinet Marine Farm. 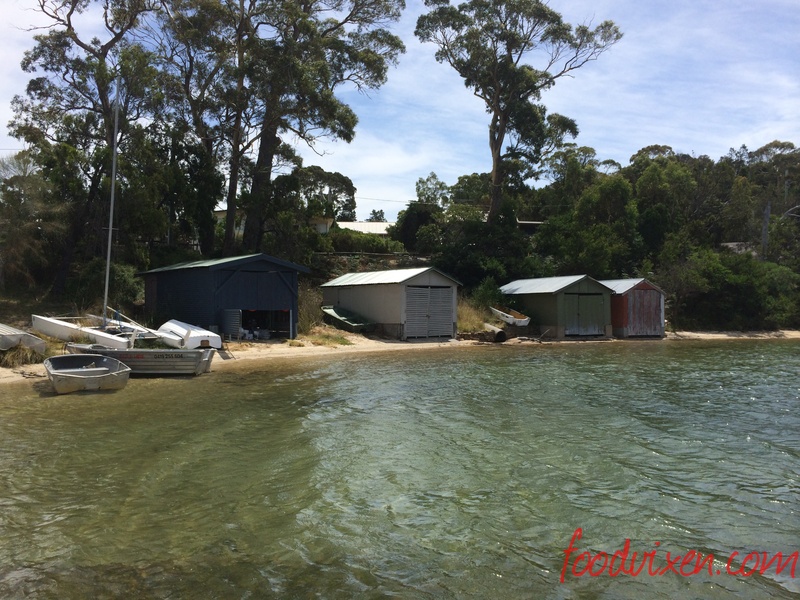 Due to my awesome navigating skills and MS’ lack of sign reading ability (someone navigating for you does not take away from your responsibility to pay attention to any and all signs on your journey) we ended up driving straight past the oyster farm and into Coles Bay. It wasn’t a major drama since we had planned on heading there to get some photos of The Hazards before heading back to Swansea. We parked down at the boat ramp and the place was packed with boaties either launching or recovering their boats after a morning of fishing. By the looks of the boats and the 4WD’s towing them there was certainly a bit of money in the area. Beyond the boat ramp though were the spectacular Hazards – rugged mountains that separate Wineglass Bay from Coles Bay. It was a stunning view. The whole area is just so pristine and beautiful I would love to spend a bit more time there and do the hike up to the Wineglass Bay lookout one day – just not this day. 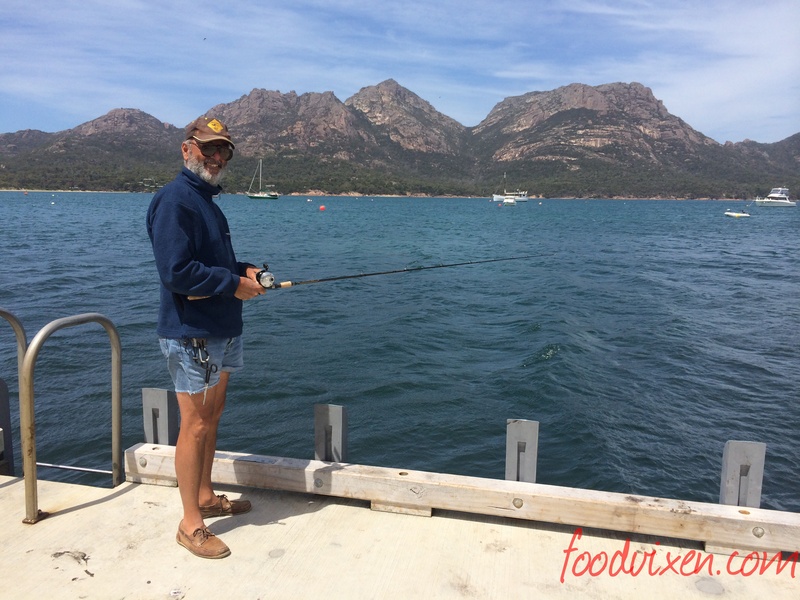 One things for sure I will be coming back to spend a night or two at Saffire Freycinet – when I win the lotto. There was a nice French man fishing off the pontoon and I asked him if I could get a photo of him fishing. He happily obliged as long as I was happy to send the photos to his email address because he said he didn’t have any photos of himself fishing. I put his email address into my phone and sent the photos to him later that evening only to have them bounce back. I tried a few different alternatives to the email he had given me but with no luck. If you are reading this nice French man I am sorry you didn’t receive the photos but I really did try to send them. I’m a woman of my word! specials board as well as some variations of oysters, mussels and crayfish. 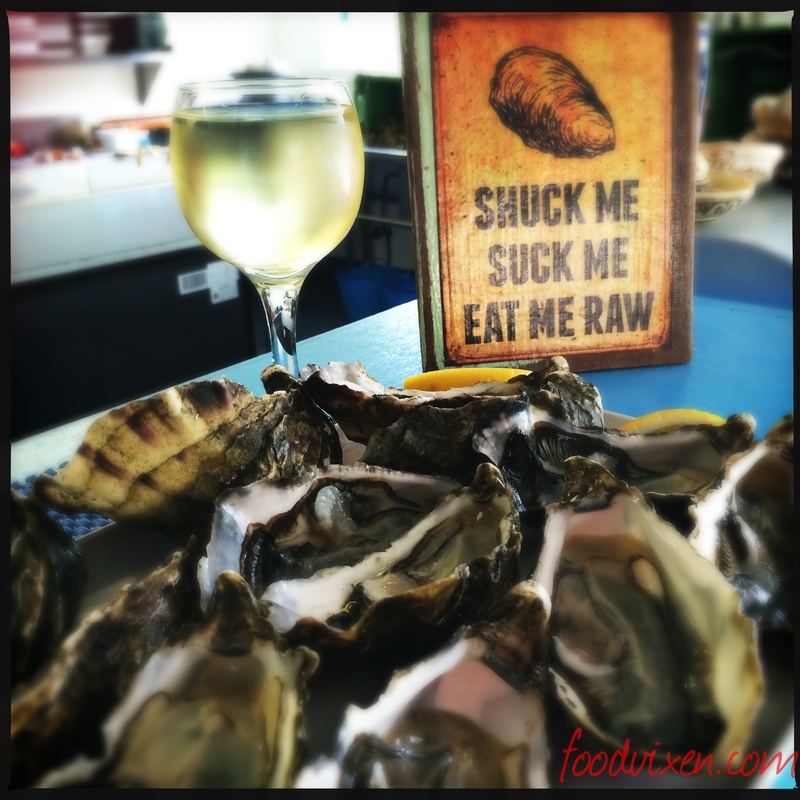 I ordered a dozen of the natural jumbo sized oysters and a half dozen of the Kilpatrick simply because I’m a glutton plus a glass of Sauvignon Blanc to wash it all down. Despite my desperate pleas for MS to order something he stuck to his guns and instead watched me eat my mollusc delights. 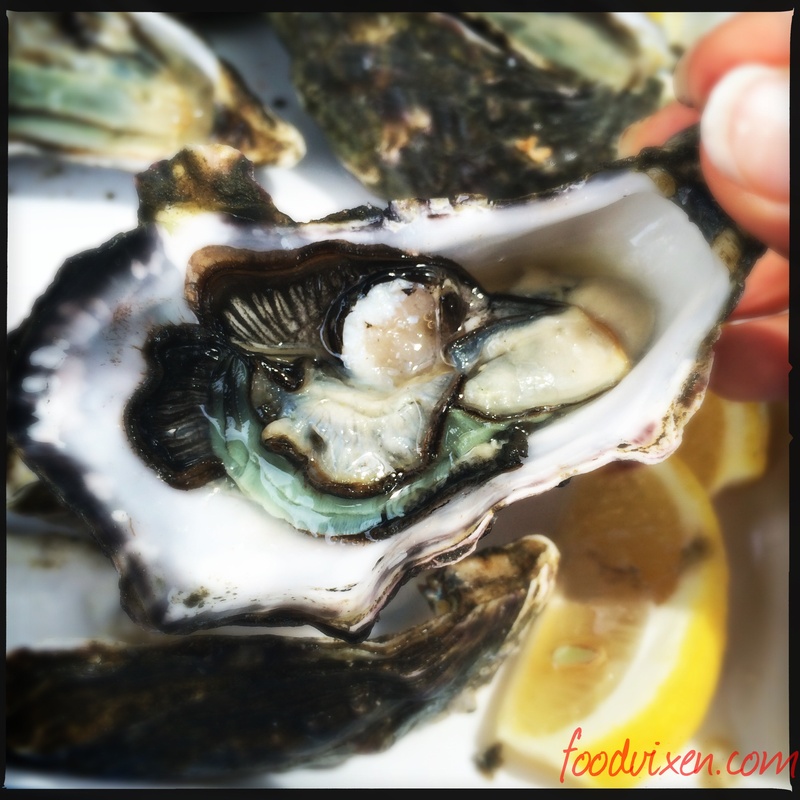 The jumbo oysters ($20 for a dozen) were excellent – big and meaty however the Kilpatrick were pretty damn ordinary but personally I’m the kind of person that doesn’t really believe in dressing up oysters, they taste great just the way they are. Yeah that kind of defeats the purpose of me ordering them I guess. Later that afternoon we found ourselves checking into our bnb in Swansea followed by a little afternoon nap. The Freycinet Waters bnb building was a lovely former post office with plenty of character and friendly owners to boot. 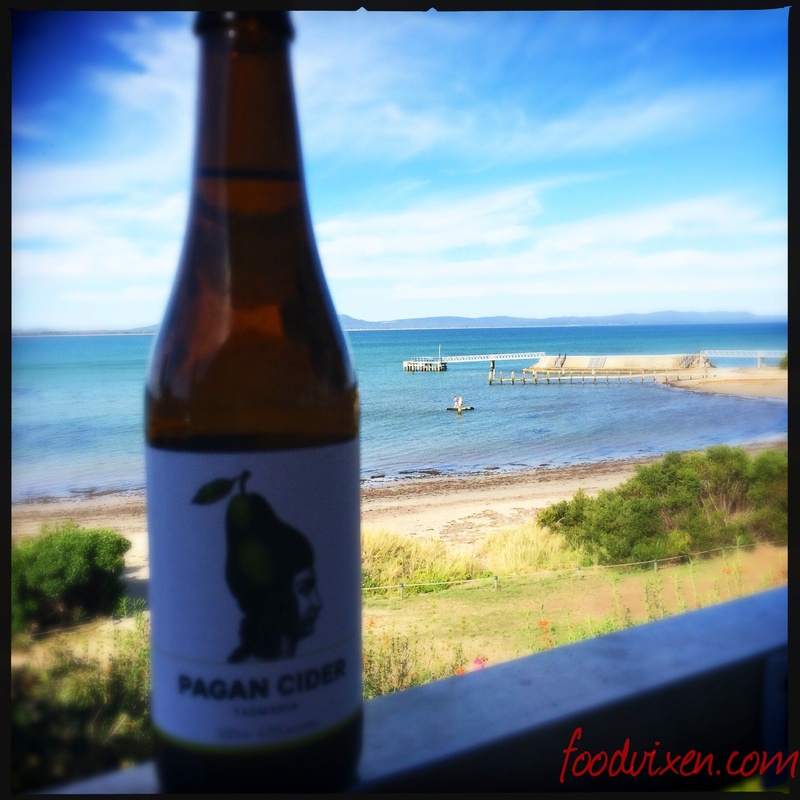 We spent the afternoon snoozing with the free wifi and the tennis on in the background before heading across the road for some ciders overlooking the Great Oyster Bay on the balcony of local restaurant Salt Shaker. 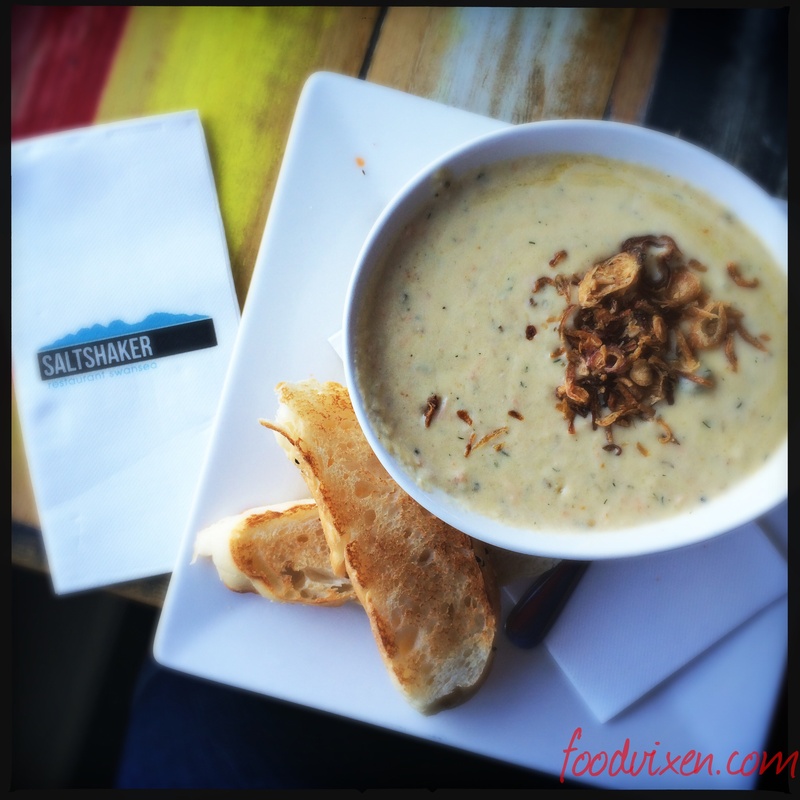 That evening at the Salt Shaker restaurant we dined on Seafood Chowder, Calamari and Chicken Parmigiana (not me). The Calamari was pretty ordinary especially for the price and so was the Chicken Parmi. I had been longing for Seafood Chowder since arriving in Tasmania and this one was excellent despite the hair that I found in it… We totted off back to our room at the bnb finishing the night with a tipple of port supplied by our hosts and dreams of Scallop Pies and fresh shucked oysters (me) and MS most likely his other girlfriend (his motorbike). 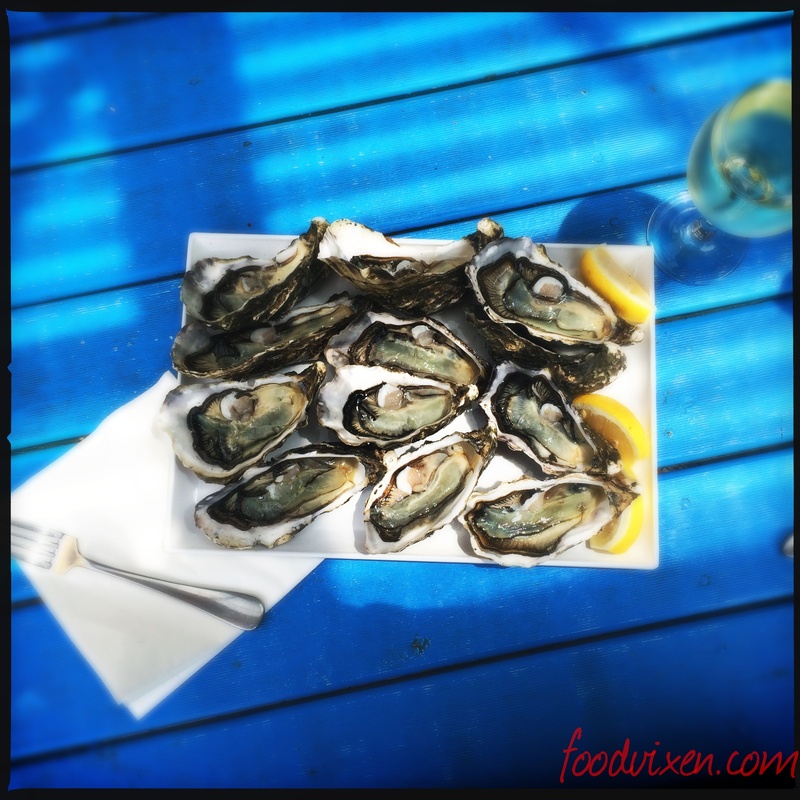 Posted on February 22, 2015, in Cairns and tagged adventure, Bed and Breakfast, Cairns, Coles Bay, Discover Tasmania, East Coast, fnq, Food Trail, foodblog, foodblogger, foodie, foodvixen, Fresh Shucked, Freycinet, Freycinet National Park, gozleme, Great Oyster Bay, Harvest Markets, Hobart, Holiday, Kilpatrick, Launceston, Oysters, Reuben sandwich, Roadkill, Romantic Getaway, Salt Shaker Restaurant, Swansea, Tasmania, The Hazards, travel, Weekend, Wine Glass Bay. Bookmark the permalink. 2 Comments. Awesome! Thanks Anton I’ll be giving them a follow on Facebook for sure!